Clean beauty brands seem to be emerging every day, hoping to resonate with customer cravings for authenticity and transparency. However, many beauty retailers continue to create more fragmented customer journeys— offering a plethora of products to cater to custom consumer needs—and paralyze consumers with a paradox of choice. Panacea, a DTC beauty brand, stands out from the crowd with its no-frills, streamlined product curation and marketing approach. By offering only three basic products for “normal” skin, for now, Panacea aims to make clean beauty convenient and truly transparent once again. 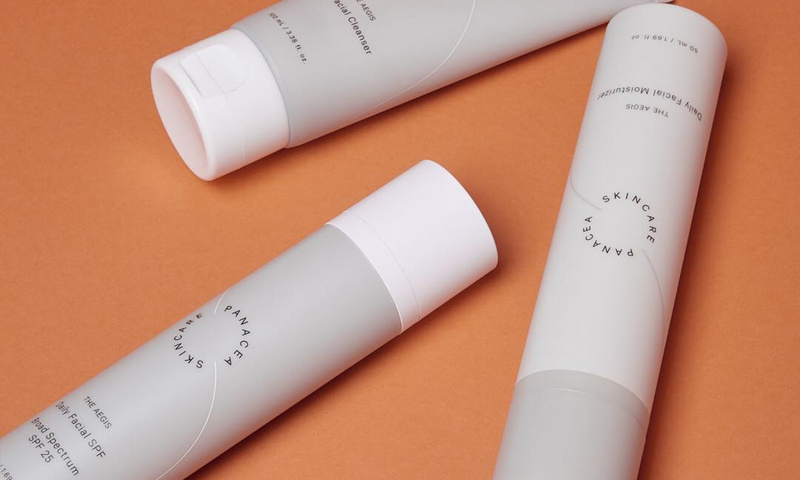 PSFK recently spoke with the brand’s founder, Terry Lee, about the cannibalism of the skincare and cosmetics industry, the brand’s origins and what is next for Panacea. PSFK: Can you tell us a little bit more about your brand and what you think differentiates it in the DTC e-commerce space? Typically, brands will talk to a consumer around a new ingredient, a product innovation or an influencer-backed endorsement. Those things are all really awesome and integral to any great marketing strategy for a modern-day brand. However, our positioning is to say, “How do we evolve out of that traditional conversation space and talk to the consumer about building a routine, building momentum throughout their day?” That’s a big aspect of brand positioning that we really differentiate on. What attributes of your brand and your products do you believe are most intriguing to consumers? I think what’s resonated so far since we’ve launched is a couple of things. I think number one is there’s been a lot of intrigue from competitors and customers around the fact that it’s appealing for both women and men. Especially with the gender identity dialogue that we’re having in broader culture today, I think it shouldn’t bifurcate. “Oh you’re a guy, you should like blue musky scent, very masculine products,” or, “You’re a woman, you should like pink, floral scent, citrus scent, floral accents on your products.” It’s a bit outdated. I think that’s been reflected back to us as something that our customers really like. I think the second thing is this aspect of committing to a routine and how that small accomplishment with skincare can provide momentum throughout the rest of consumers’ day. How can you further elaborate on your commitment to inclusivity and one-type-fits-all skin care, and how that aligns with your brand mission? In terms of its alignment, the way that we think about it in terms of building momentum throughout your day, is that it’s gender-agnostic. I think that’s something that we can all relate to in terms of frustrations or challenges. I think we’ve all had those tough days when it’s hard to get out of bed, you just feel a little bit held back and restricted from really pursuing the day with a lot of fervor. That ethos of just accomplishing or starting with a small skin-care routine, and the sufficiency of that and how that provides momentum is a message that resonates with all ages, all genders. It’s something that we really believe in it at our core. Also our approach to gender fluidity, again, is not something that we outwardly market, but rather, really shows up in two places. Firstly, in terms of our product development process. It seems that your brand speaks a lot about your commitment to transparency and minimalism. How does that shapes your brand and its positioning in the clean beauty market space? I think these are just pillars that we believe in. I don’t know if I look at those philosophies as, “Oh, we’re trying to be different, because of our transparency or being a minimal brand.” I think these ideologies are very innate in our character as a team and naturally showed up in the brand itself. Transparency is a great way to build customer trust and we approach it as something that not only shows up externally with our consumer but even internally in how we work with our team is in a very transparent manner. We will be launching additional products here in the near future, specifically, to address unique skin issues. I don’t want to give off the impression that we’re only going to be three products for perpetuity. Is there any information you can share about upcoming product launches or retail activations in the near future? We’re really excited and we have developed some products since last fall. I love our team’s commitment to making sure that we’re very thoughtful about the development process. I think a lot of brands will launch a new product after four or five formula changes. We’ve gone so far as 12 to 16 in certain cases. Just to make sure that we have the right ingredients, the right texture and the right formula before we introduce it to the market. Our initial three products that we launched—the cleanser, moisturizer, SPF [sunscreen]—really cater toward the general population, specifically to those with normal combination skin. After, we are looking at what daily essentials you need to create an effective skin-care routine. So, we’re going to add two more products to that existing daily lineup. Your brand name, Panacea, means “the cure-all.” So, going off your last point, I’m wondering how Panacea utilizes and integrates consumer feedback into its retail and sales funnel? In terms of product feedback, I think that our approach should be the standard today. I don’t look at that as a differentiator for us. We do not see our approach to customer feedback as innovative but rather a standard practice as a modern, DTC e-commerce brand. The conversation is naturally a two-way street now. I think when I was growing up, even in the ’90s and early 2000s, before social media, brands engaged with their customers in a one-way conversation. Back then, only the brands were talking to consumers. Nowadays, it’s very much a dialogue between the consumer and the brand—there’s back-and-forth conversation. As a brand, it’s our civic responsibility, our duty, to ensure that we cultivate this dialogue and honor it. We try to get feedback through multiple or a variety of channels—whether it’s email, social, etc.—to make sure that we’re funneling feedback to the right departments within our teams. We do this so we can take into account customer feedback as we continue to grow the brand. Do specific channels help you drive the most sales? Surprisingly, email continues to be the dominant channel through which customers reach out. I think any suggestion that email is dead is a bit premature. We, naturally, get a lot of inbound direct messages via Instagram. Those are probably the two channels that we hear from customers the most. Could you speak more about the meaning behind your choosing Panacea as the name of your brand? Panacea, the dictionary definition is “a cure-all.” We used it as a paradox because we don’t for a second believe that there is a single skin-care product, or even a line of products, that will give you perfect skin. Rather, we chose the name of our brand to be “Panacea” because our brand is not rooted in the idea of creating a specific product or a cure-all. We really believe in having a mindset of intention and in the importance of approaching your day by accomplishing something small and tangible. In our case, it’s a skin-care routine and how that can provide momentum throughout the rest of your day. Your products are TSA-approved and air-travel friendly so consumers can travel wherever with them. Can you elaborate more on that? It speaks to our generation, and specifically, our target consumer, who is very much on the move. Whether that means physically going from location-to-location, via plane or commuting for work, in terms of how they’re moving throughout their day and having a full schedule, those are the things we think about from the customer level. Number two, I think it’s just understanding that two-way conversation with the consumer and what their pain points are so that we can really cater our products to those. It’s not only about a product’s efficacy, but it’s also about its more minor details, like the size of packaging, so it really is conducive for their lifestyles. Do you believe that you’ll open physical stores at some point, or any other types of retail channels that you think are most beneficial for your target consumer? Yeah, I believe it’s a very ambitious plan, especially when it comes to distribution. I’ve always believed that brands, or at least the brands that we’re inspired by, are omnichannel. I think that’s a really important aspect of our business and something that we’d love to build out in the near future. At this juncture of our company, this only being a couple months outside of its initial launch, we are really focused on doing one or a couple of things well. Then, naturally, as we start to build a certain piece of the brand, and there’s a solid reputation with respect to that piece, we can expand as time goes on. That’s where you see companies launching multiple cleansers, multiple moisturizers. It’s about just dominating as much real estate as possible in the store. That mentality, or approach to merchandising, as you can imagine, doesn’t work as well in an online environment, especially when you’re scrolling on your phone. I think creating a seamless shopping experience is very much part of our ethos and something that we’re committed to. This same commitment to excellence will be applied as we expand into other channels in the future. How do you plan to position yourselves as “for everyone,” while also being very custom-tailored and personalized, especially through an online channel? I do want to be really clear about something. I don’t for a second believe that we all have the same type of skin, that it’s a one-size-fits-all model. I think in the beginning we just wanted to come out with the basic products, where, it’s the fundamental products that could work for a majority of people. We’re not positioning Panacea as a problem-solution type product. Our ethos or lens for the first lineup of products focuses in on providing customers with efficacious skin care products to use on a daily basis. Thereafter, I think it’s important to understand the different skin issues or skin concerns that people experience at times throughout in life. We gauge which issues to tackle based on feedback from our customers. It’s really about talking and having an in-depth dialogue with our product experts on our team, our skin-care labs and our manufacturers. We also draw from our own personal experiences, too. Through the process of collecting of data and feedback, we start to identify specific skin issues and concerns that we want to address. I do think at this stage, it can seem like we’re trying to position all three products, like, “Hey, this is for everyone. This will work for your skin, no matter what your age, or gender, or…is” and, insert qualifier. Rather, I think that we are looking at this as our first step, in a series of hundreds—or thousands—of steps in our journey. We, naturally, will be introducing additional products in the future. We’re working to strike that really nice balance between having an assortment that addresses these different skin issues that people face on a daily basis, but then also not over-engineering and coming out with too many products and personalized options where the shopper experience for each consumer becomes really cumbersome. We also pay attention to this in order to make sure not to sacrifice on the quality of the products as well. Are there certain tools that you use or encourage your customers to use to provide you with feedback? I think that it shows up naturally in surveys that we’ll send out to customers. It shows up in calls that we’ll make to customers asking for their feedback. It shows up in focus groups that we’ve done. It shows up in just even our conversations within our team. Using consumer feedback to design a minimal and effective routine for modern-day consumers is just one tactic DTC brands are employing to differentiate themselves as well as enhance their customer appeal. For more strategies from brands like Panacea, see PSFK’s newsletters and reports.